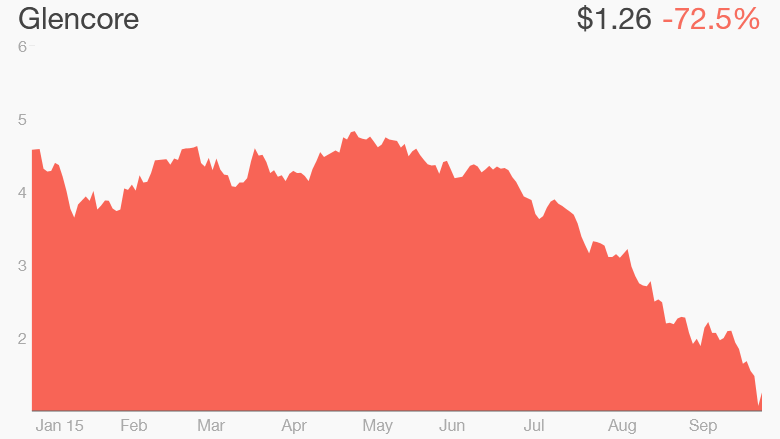 One of the world's biggest mining companies denied Tuesday it was on the brink of collapse. 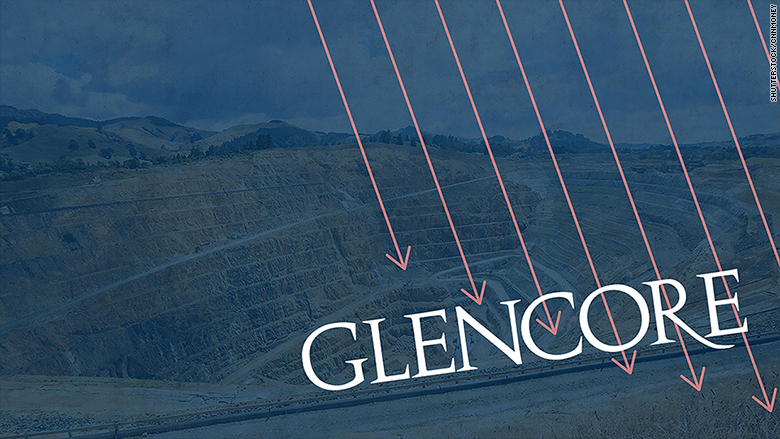 Glencore (GLNCY), a mining and trading conglomerate, said it has "absolutely no solvency issues" after its shares plunged 29% on Monday. The stock rallied nearly 17% on Tuesday, but remains 73% down for the year. It's now worth just over 80 pence ($1.2), compared to its IPO price of £5.30 ($8) just five years ago. "Our business remains operationally and financially robust -- we have positive cash flow, good liquidity and absolutely no solvency issues," Glencore said in a statement. The company has been crushed by falling prices for commodities and fears that China's slowdown will make matters even worse. Analysts are also worried that Glencore might suffer even more if the Fed decides to raise interest rates soon. That's because commodities are traded in dollars. If the dollar strengthens because of higher U.S. rates, prices for metals and other materials may fall further to compensate. But as prices crashed, the company was forced to use much of its cash to repay debt, leaving little for shareholders. Other big mining companies are facing similar issues. "Our analysis indicates that highly leveraged miners could have no equity value if commodity prices fall only marginally lower and do not recover," Christopher LaFemina, equity analyst at Jefferies, wrote in a note. Some are warning that the company's shares could become virtually worthless as a result. But Glencore said it is prepared for the slump. "Glencore has taken proactive steps to position our company to withstand current commodity market conditions," it said in a statement.